There was a great multitude that no one could count, from every nation, from all tribes and peoples and languages, standing before the throne […]. They cried out in a loud voice, saying, ‘Salvation belongs to our God who is seated on the throne, and to the Lamb!’ (Revelation 7:9-10). When I was in my mid-teens I convinced my parents to let me spend three days at a community of hermits. I guess nowadays we would call it a retreat, or perhaps testing one’s vocation, but at that time I think I just wanted to experience a way of life so completely different from my own. I used to go to this monastery every time I was in the area and I would often remain fascinated by the hermits’ perception of life; a perception totally oriented towards the vision of God, the ultimate goal that awaits us as Christians. I remember once one of the hermits said that I should not miss the Mass in celebration of All Saints as it was an extremely important day in the Christian year; so important that he thought could really rival Christmas day. How was that possible? I thought to myself. Surely, if society – especially God-fearing Italian society – had overlooked this celebration, it meant that it was not important, at least not as important as Christmas anyway. Only later on I understood what the hermit meant. When we celebrate Christmas we celebrate the glorious event so intimately connected with the story of salvation that some would consider it its very beginning. 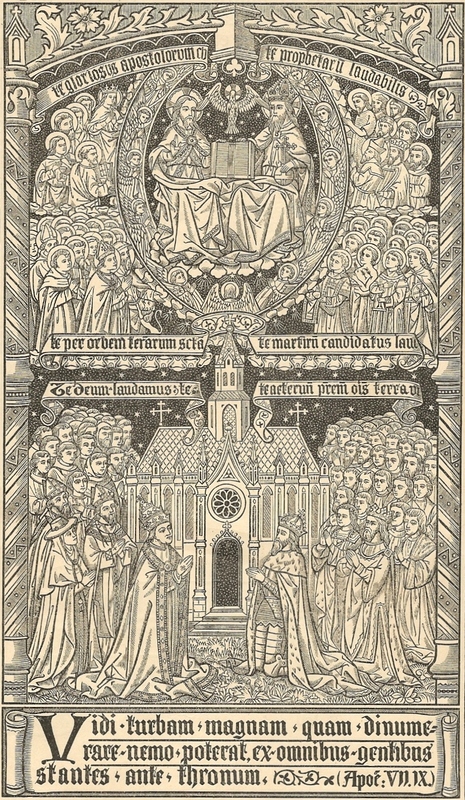 However, when we celebrate the feast of All Saints we celebrate that communion of all the redeemed which will have its final climax in the heavenly Jerusalem. In short, at Christmas we celebrate a past event, whilst today we give thanks to God for the glory he has manifested in his saints throughout the ages as well as receiving a pledge of our future existence in communion with them. 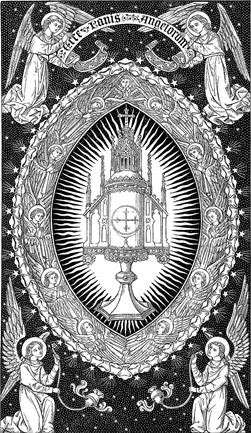 In the communion of thy mysteries. In thy spirit, for the glory of the Father. Amen. 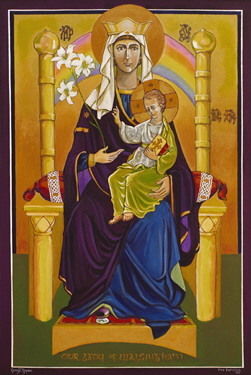 Our Lady of Walsingham, Pray for us. Homilies, Essays & Articles © Copyright Fr Diego 2007 - 2015. Watermark theme. Theme images by konradlew. Powered by Blogger.